Northwestern University Press, 9780810128262, 328pp. By all accounts, Jovan Mosley was a good kid. He was working on a way out of his tough Chicago neighborhood and had been accepted at Ohio State University when he was forced to confess to a murder he did not commit. He then spent five years and ten months in jail without a trial. His efforts to exonerate himself got him nowhere until he happened to meet a successful criminal defense lawyer, Catharine O’Daniel. She became convinced of his innocence and took him on as her first pro bono client. Along with Laura Caldwell, she decided to fight to free Jovan. Against enormous odds, they fi­nally won some measure of justice. 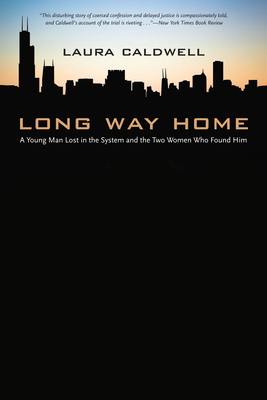 In this affecting memoir, Caldwell tells the unforgettable story of a breakdown in the criminal justice system and what it took to free an innocent man. Laura Caldwell is a distinguished scholar in residence at Loyola University Chicago School of Law, where she started the Life After Innocence Project. She is the author of thirteen novels, including the Izzy McNeil series. Caldwell s freelance writing has been published in Chicago Magazine, Woman s Own, The Young Lawyer, and elsewhere. "